The Bank of England (BoE) has warned that UK and Europe must get a Brexit transition agreement more or less in position by Christmas – or risk contingency plans being actioned. This could mean banking would be harder to regulate. The BoE edict did little to undermine the pound overnight, up +0.06% against the dollar while the euro saw more confidence being drawn in, up +0.11% to $1.1754. However the Australian dollar buckled under weaker retail sales data – the biggest dip since early 2013 – despite more solid trade figures. US Fed chair Janet Yellen offered some opening words at a community banking conference yesterday but there was little for the dollar to meaningfully grip onto. Meanwhile luckless Theresa May will today attempt to put her uneasy-to-watch party conference performance, not helped by coughing fits and a prankster issuing a P45, behind her as more talk surfaces over a leadership challenge. Resignation talk is starting to swirl. Today, PMI retail figures are out from the EU shortly while US balance of trade, job numbers and factory orders follow later in the day. More signs that the UK retail economy is wilting. New figures from the Society of Motor Manufacturers and Traders, due out this morning is likely to show a -9% slump in new car sales in September. While there has been a rash of car scrappage schemes offered recently, many consumers are struggling to overcome wages that haven’t lifted meaningfully in some time, simultaneously punished by rising inflation. 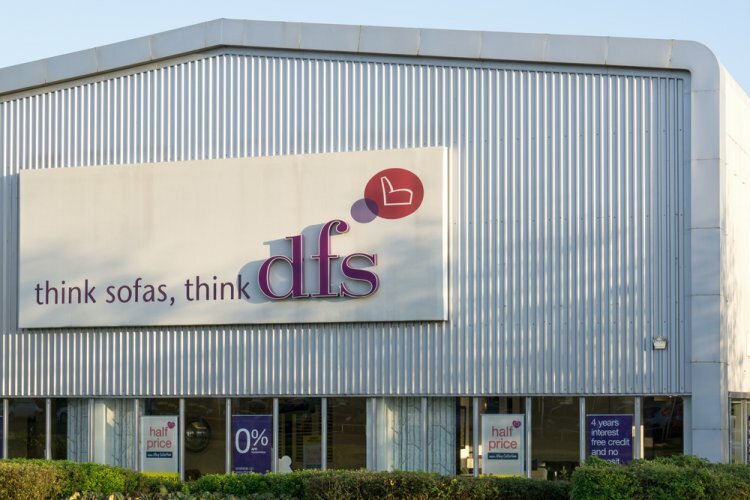 The lower consumer mood is reflected also in new trading numbers from DFS. The furniture player sees pre-tax profits slump from £50.1m to £22.3m for the full year to 29 July. While part of that is down increased consumer uncertainty, weaker sterling has hit margins DFS says. Meanwhile Vodafone claims it's re-positioning its focusing on the theme of optimism on the future, deploying the strapline, "The future is exciting. Ready?". “The first part of the strapline will be presented in local languages with the second part – ‘Ready?’ - presented in English,” says the company. Vodafone’s new five-word brand opener is the work of (unbelievably) almost 30,000 people in 17 countries, it claims. Breaking news: RMT strikes have commenced across England with Aviva Rail North and Great Anglia services affected. Roc Nation has signed licencing agreements with virtual reality player MelodyVR to distribute content including Shakira, DJ Khaled and Romeo Santos. Quantas shares are up +3% on a Buy note from Goldman Sachs.